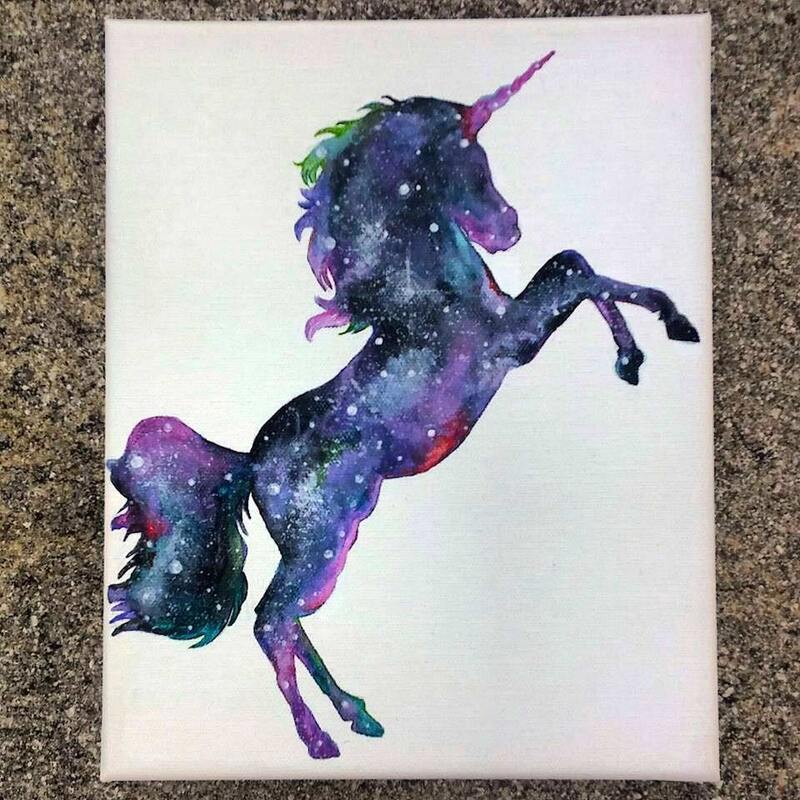 Part of my "cosmic zoo" collection, this custom unicorn painting is perfect for the offbeat baby nursery or for that person who loves funky art. The painting shown is a representation of what you will receive. 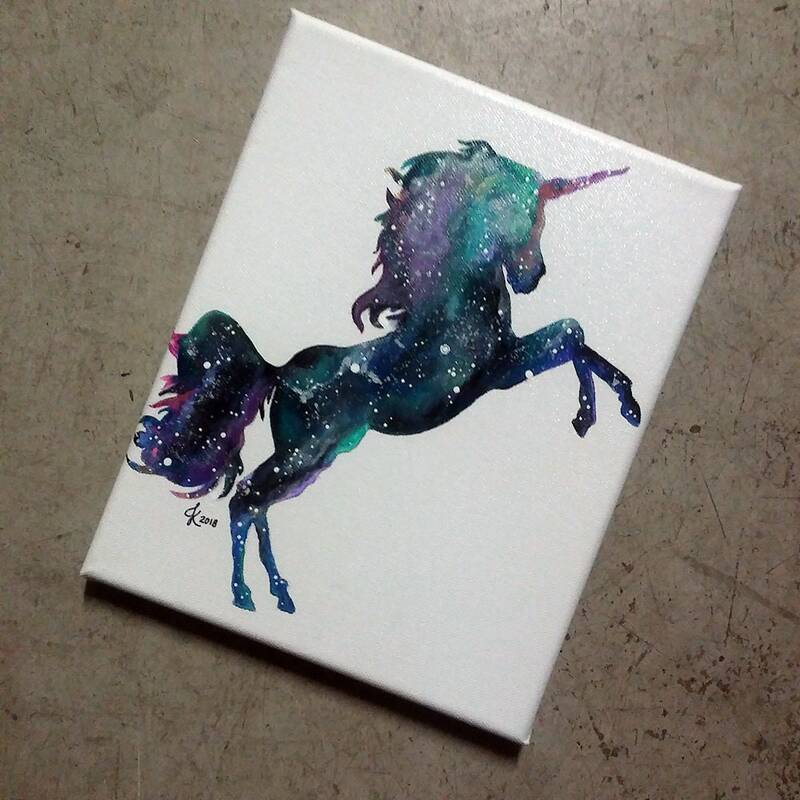 The galaxy pattern will vary painting to painting; no two will look the same. 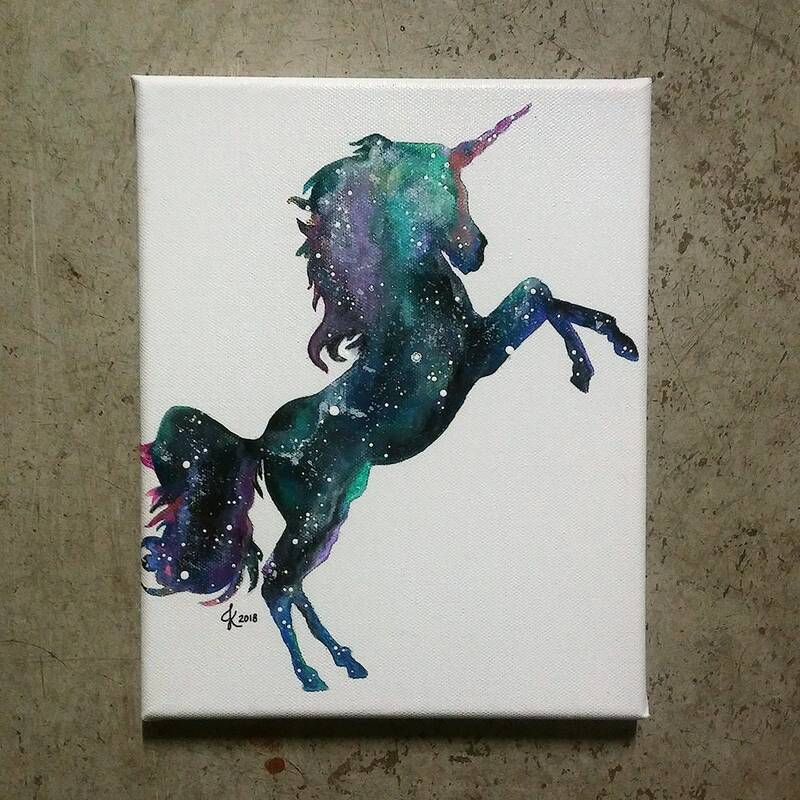 Quality acrylics are used on back-stapled canvas. Comes ready to hang.